In this third part of my series Great ways to learn German I want to share with you how reading books in German can help you broaden your vocabulary. A good start is to read children’s books, and I don’t mean picture books, but books aimed at children age 9+. When I was preparing this post I was really struggling to remember what kind of children’s books I used to read, because all my old books are still at my parents’ flat. As a child I used to read all sorts of authors and they were international – Astrid Lindgren, Enid Blyton, Laura Ingalls Wilder, Susan E. Hinton and Sempé. I used to love the Hanni & Nanni series, was a fan of Little House in the Prairie – (Unsere kleine Farm) and of course I loved Pippi Longstocking – Pippi Langstrumpf. I also loved the funny stories of Der kleine Nick (Little Nicholas) by Rene Goscinny (of Asterix fame) and Sempé, which were beautifully illustrated, and Otfried Preubler’s Die kleine Hexe (The Little Witch) and Der Räuber Hotzenplotz (The Robber Hotzenplotz). Erich Kästner is another author I loved reading and one of his most famous books is Das doppelte Lottchen (Twice the Lottchen) from 1949, which tells the amusing story of twin girls Lotte and Luise, who were separated at an early age due to their parents’ divorce, and meet at a holiday camp. There they hatch a plan to get their parents back together by masquerading as each other and live in each other’s home. If the story sounds familiar to you it’s because it formed the basis of Hollywood movies such as The Parent Trap – this however is the original. It’s also one of the most read books by me and my parents. I remember when I was 10 or 11 and on holiday with them in France and we would all read this book! So you can never be too old for this. 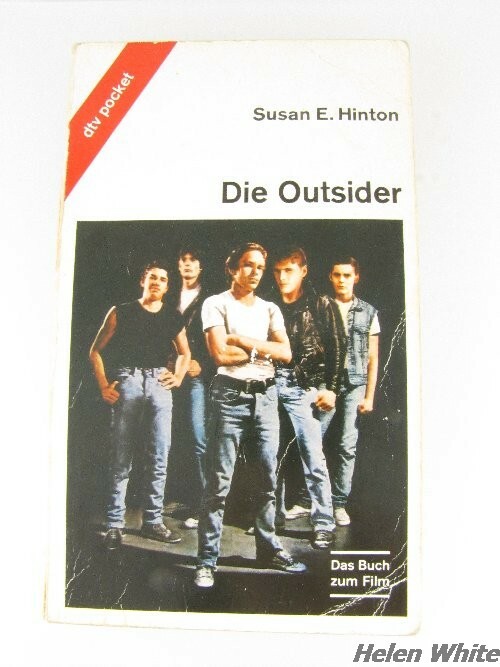 Another book I loved reading is Die Outsider (The Outsiders) by Susan E Hinton , who wrote it at the young age of 16. I watched the Francis Ford Coppola movie first and bought the book afterwards. It’s an easy read and tells the gripping story of the three brothers Darrel, Sodapop and Ponyboy, who are part of the Greaser gang, and the fights they get into with the rich kids from the Socs gang. One day someone ends up dead. The story is not so much about gang violence in the 60s (it was written and is based in that time) but all about friendship, loyalty and the desire for a better life. It’s quite a sad book actually. Start with easy to read titles. Browse book shops if you happen to be in Germany to get an idea what you might like, and if you can’t access a German book shop, look at the book’s description and summary on Amazon or other online stores. Start with familiar books. If you love Harry Potter or The Hunger Games – and a lot of adults love these novels too – then why not have a go at reading these in German? Or if you prefer to read non-fiction like autobiographies – have a go at those. 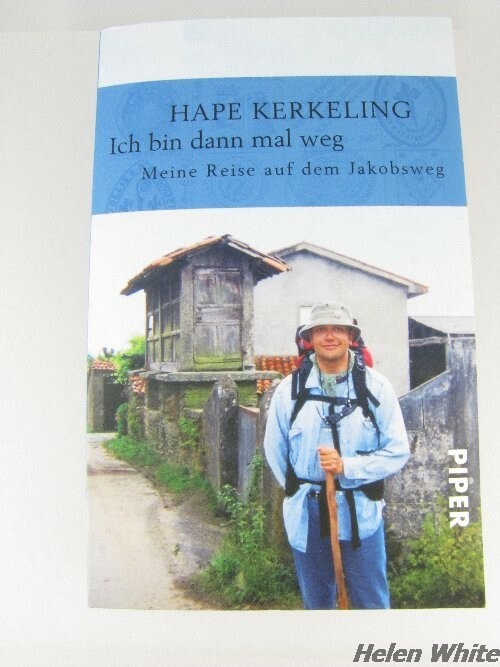 I can highly recommend Hape Kerkeling’s Ich bin dann mal weg – Meine Reise auf dem Jakobsweg (I’m Off Then: Losing and Finding Myself on the Camino De Santiago.) Hape is one of Germany’s most loved comedians/entertainers and in this (his first) book he shares his experience of his pilgrimage on the Camino De Santiago to St. James’s grave in the cathedral of Santiago de Compostela in Galicia. The book is funny and thought provoking and you get a good sense of Hape’s friendly personality. Have a dictionary at hand – either online or as a hard copy. Write down those words which are new to you and add them to your vocabulary list – either use an app or an old fashioned exercise book. The more your practice reading, the more you will find that you can figure out what words mean within the context of the paragraphs. Practice your pronunciation by reading out passages loud. Reading is supposed to be fun, so enjoy it. I read mostly English books to improve my English vocabulary and over the years my reading speed and understanding has certainly improved, so I expect similar results for you.